People First: Wellness Project exposes quite a swamp - Senior Council Officers and Executive Councillors must have known! What Happened to Wellness? The Swansea City Deal revealed as an expensive sham. . In Carmarthenshire a Plaid Cymru led Council is caught up in a mire of a public project which may never have been viable and threatens the whole Swansea Bay City Deal . Many of us older folks recall the comedy programmes of "Yes Minister" and "Yes Prime Minister" where the civil service were portrayed as being completely contemptuous of the elected members of parliament, even the top elected post. Civil servants often have effectively a job for life and incompetence is more likely to result in a change of internal post or title rather than the more uncertain position of elected politicians who actually have to justify themselves to the electorate. The 4 pillars of the civil service are allegedly the core values of honesty, objectivity, impartiality and integrity. They are as lacking in local government civil service as they are in Whitehall. Of course there are some decent people who are civil servants and who try very hard to work in the public interest. However, there are groups of civil servants who use their power and influence against the democratic representatives they claim to serve and instead clearly control the policy and direction of their organisations. The details of the betrayal of the people of Carmarthenshire and the Swansea Bay City Region as a whole, by the less than noble proponents of the "Flagship" Wellness Neurosciences Village planned to create jobs and prosperity in Llanelli. The whole mess is not yet fully investigated but the theme of the reports to date is that the scheme was never properly planned or thought out and some of its leading proponents were clearly lacking in honesty, integrity, objectivity and impartiality. The beneficiaries were seemingly the few and not the many. Academics from Swansea University seem to have meant to use the centre as a cover to sell UK medical degrees to middle eastern students. who would be enrolled at the Swansea Postgraduate medical school and likely accommodated at the Llanelli Wellness Village either to study and/or reside for some time to justify the Swansea degree. The plans promised to transform Llanelli from a depressed post industrial town to a beacon of Wellness featuring Health Tourism, World leading research, producing 2000 jobs on site and much needed boosts to local business. I very much doubt that the original idea for the scheme came from elected members. It was certainly not local councillor led. The choice of the contaminated brownfield site seemed simply due to its availability as publicly owned "free" County Council land. The problems in developing this land were dealt with by not investigating the issues and a bizarre report by the Council's agents, which was patchy, flawed, and did not satisfy Natural Resources Wales. Medical facilities for local people were included in the "Village",and a local authority care home to replace one closed in 2011, long promised but never delivered. The publicity shows a gleaming futuristic site with a computer animated "fly over", set in parkland and with attractive water features. It may well be that the "fly over" is the best production of the whole plan, as nothing pictured appears to have been properly planned or funded. Several million pounds of public money have been spent already on various assessments and initial site preparation. Carmarthenshire County Council is said to have already borrowed £200 million and certainly have not denied this when I've stated this before. I'm told the interest is already being paid from our council tax..
Having lost the UK City Deal funding Carmarthenshire County Council initially said that alternative funding was available, that the project could be financed in other ways, such as the eventual income rental and business rates from the neurosciences themed industrial units once they are built. In fact the project is on hold. Fooling the Councillors, few,if any, of whom in Carmarthenshire will have experience of building large projects like this, was probably easy. However, Senior Officers must have been concerned unless they too were mislead or perhaps complicit?, The whole premise of the City Deal was that large amounts of private money needed to be pledged to match fund much of the City Deal borrowing and grants. C.C.C. officers must have known, from the start, that the Sterling Health Group was essentially a bunch of small companies without significant funds and possibly just there to get money, not give it? The information on them from Companies House, from which they have now applied to remove their registrations, was freely available on line to all. Did nobody at CCC check? 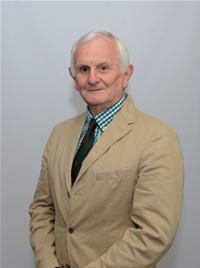 Cllr David Jenkins,(Plaid Cymru, Glanaman) the Executive Board Member for Finance in CCC has not been able to reply to any of the questions I have put to him on the subject of the Wellness Project. I am sure that he must have somehow been initially persuaded that the money was available, the scheme viable and everything was fine. But surely he must have realised eventually that the whole thing was a farce and unlikely to reinvigorate the economy of Llanelli as promised? In fact, it could have quite the opposite effect and leave the County now with even more debt than it had previously. Where was the return on any investment for private business? The Scam has been revealed not by insiders at Carmarthenshire County Council but by scepticism from concerned local residents who researched the participants and analysed the scheme. The eventual exposure of Sterling Health, together with some of the the Swansea University participants in the Deal, by exhibiting some very unprofessional behaviour related to the proposed deal was shocking enough, The Council cancelled its arrangement with Sterling. This was followed with the surprise additional revelation of a closely related scheme, the new Private Shifa'a Hospital and University in Kuwait, apparently ready to import its students and claim UK medical degrees for them through the Wellness Project. The CEO of Carmarthenshire County Council, Mark James, was offered and accepted a position as a trustee of the new Kuwaiti Medical School but forgot to declare his interest in this plan. In an article in the Llanelli Herald March 29th Jon Coles reveals that a Kuwaiti company, KIG, Kuwaiti Innovative Group, is now threatening to sue Swansea University. The academics are accused of leaking confidential information to the Western Mail to the detriment of KIG and effectively scuppering their project entirely. He reports: "The Controversy turns on a leaked report prepared by KPMG. It said "The project, which would take 3 years to develop consists of a University, a teaching hospital, a physical and occupational therapy centre, and commercial developments, including a hotel, hostel,staff accommodation and rental outlets"
" All of which sounds awfully like the plans for Delta Lakes in Llanelli" says Mr Coles. KIG claims the leak "irreparably harmed the prospects for the Scheme's success". Swansea University denies the allegations and has suspended Professor Clement who in the past has arranged for thousands of overseas degree courses to be recognised as British degrees through the University of Wales. Evidence emerged that these degrees were not monitored adequately and the overseas scheme was stopped for good, it was thought. Now he has been exposed setting up a similar and probably more lucrative deal in medical degrees. How on earth did a scheme to build a Neurosciences themed industrial park with health,leisure and tourist facilities end up linking to a project to build a private hospital and medical school in Kuwait. These foreign students would presumably be offered degrees by Swansea University Postgraduate Medical School and possibly accommodated and offered experience at the Wellness Centre in Llanelli. Were they to be the real source of funding all along? Was it always just a scam to sell medical degrees to the Gulf?